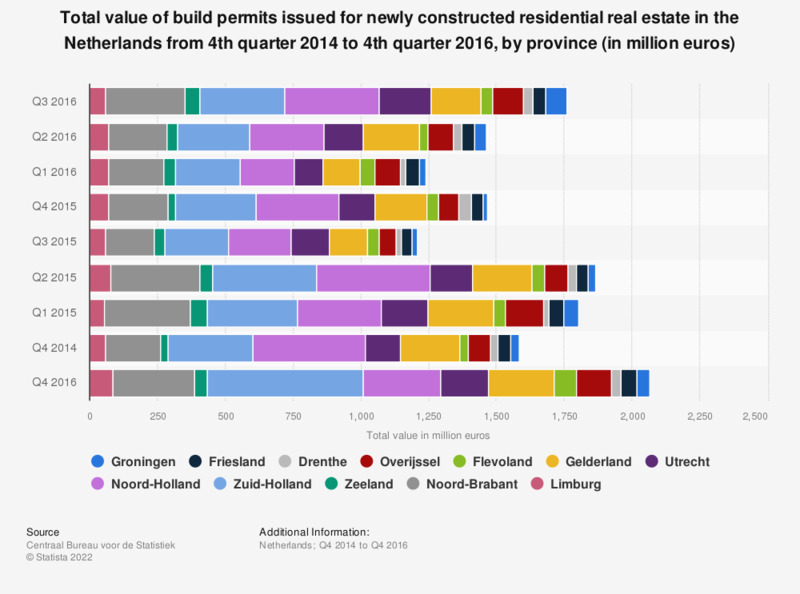 This statistic shows the total value of build permits issued for newly constructed residential real estate in the Netherlands from the fourth quarter of 2014 to the fourth quarter of 2016, by province (in million euros). In the fourth quarter of 2014, the value of permits to construct new residential real estate in the province of Groningen reached approximately 44 million euros. The source notes the value of issued building permits are "current prices, excluding VAT".